I have a little blue car. 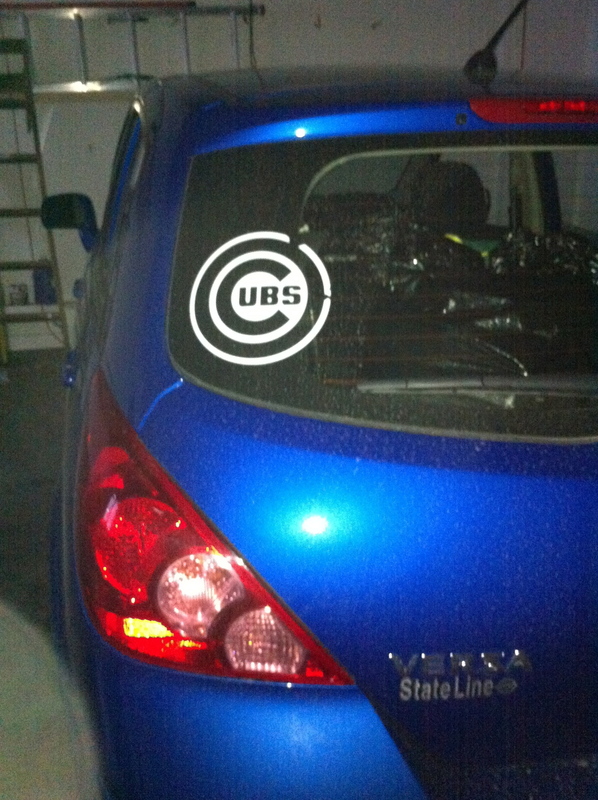 You can tell it’s mine by the Cubs decal on the back. Unfortunately, so can the parking nazi at my work. Oh, and that’s a bag for Salvation Army in the back there.